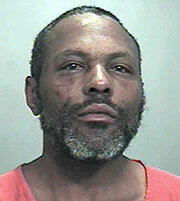 A Waterloo man is accused of intentionally setting his home on fire. Forty-three year old Kelvin Scott is charged with second degree arson in connection with a house fire at 1023 Vine Street early Wednesday morning. A police officer discovered the fire shortly after midnight. Scott lived in the home where the fire occurred. Before the fire, police say a woman – identified as Gina Siglin – called to report that Scott had made threats to her and was planning to damage the home. When police went to the house to investigate, an officer discovered the residence on fire. Scott was scene leaving the area by police, and a short vehicle chase followed. He was caught, and initially booked on traffic and interference charges. Investigators later determined the house fire was intentionally set. Scott remains in the Black Hawk County jail on $100,000 bond.